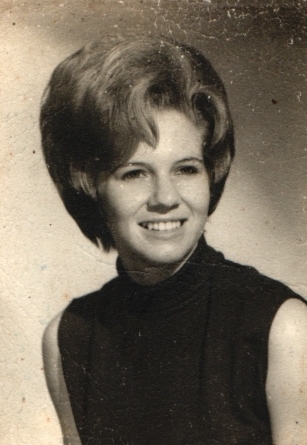 Wanda Sue Porterfield Williams age 70, of Bismarck, passed away Tuesday, April 2, 2019 in Little Rock. She was born February 13, 1949 to R. T. (Cotton) and Jenettie Yarbrough Porterfield. She was loved very much and will be missed by all. Sue was preceded in death by her parents, one daughter, Cheryl Denise Williams and one nephew, Jeffrey Bryan Norton. Survivors are her husband of fifty years, Eugene “Gene” Williams; two sisters, Faye Norton and Diana Porterfield; one brother, David Porterfield all of Bismarck; two sons, Scotty J. Williams (Debbie) of Hot Springs, Daniel Bryan Williams of Lafayette, Louisiana; one daughter, Donna Jean Cogburn of Hooks, Texas; five granddaughters, Ashlee and BerAnna Roach, Kari and Brittany Williams all of Bismarck, Megan Williams of Sedalia, Missouri and thirteen great-grandchildren.